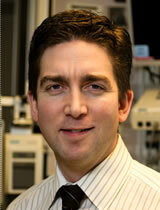 Dr. Scales obtained his MD from the University of Toronto (UofT,1997). He then completed residencies in Internal Medicine and Critical Care Medicine (CCM) and a PhD in Clinical Epidemiology. He is an Associate Professor of Medicine (UofT) and an Intensivist at Sunnybrook HSC. His research evaluates interventions and system-factors that influence outcomes of critically ill patients; he has conducted several large quality improvement RCTs. Dr. Scales serves as a member of many international committees, including the organizing committee of the Critical Care Canada Forum.